Malta became a British colony in 1814, gained its independence and joined the Commonwealth in 1964, became a republic in 1974, and joined the European Union in 2004. Throughout the colonial period, the Governor resided at St Anton Palace in Attard (now the President’s official residence) with his offices in The Grand Master’s Palace in Valletta (now the President’s office). 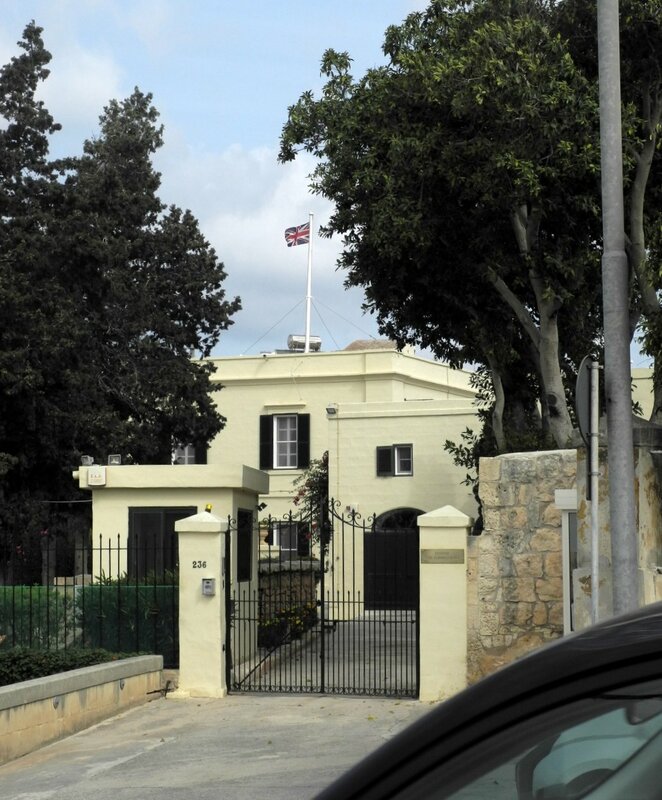 The Villa de Giorgio, at San Pawl Tat-Targa, Naxxar, was first leased in 1961 as the residence of the UK commissioner, who became the British high commissioner in 1964, around which time the house was extensively upgraded. The house was built in the 1820s by an English cotton merchant, Robert Peel. The lease was re-negotiated for a 17-year term in 1967 and has been similarly renewed several times since. 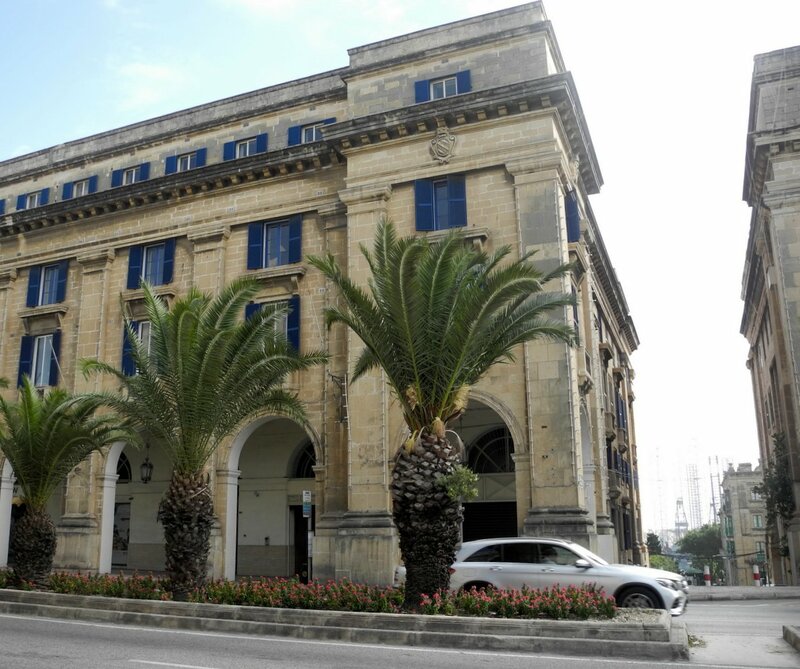 The offices were first leased in 1961 at 7, St Anne Street, Floriana, a 5-storey half-block, originally built as flats above a shop, and extremely well located. The offices originally occupied two floors but subsequently expanded into the other floors. The space and building gradually deteriorated, despite periodic facelifts and rearrangements, to the extent that in the mid-1980s thoughts turned to building new offices on a new site. An exceptionally good site near the tip of Ta’Xbiex was half-promised in 1986, and the government of Malta approved a 75-year lease on it, but the idea was not supported locally and the site was quietly withdrawn a year later. 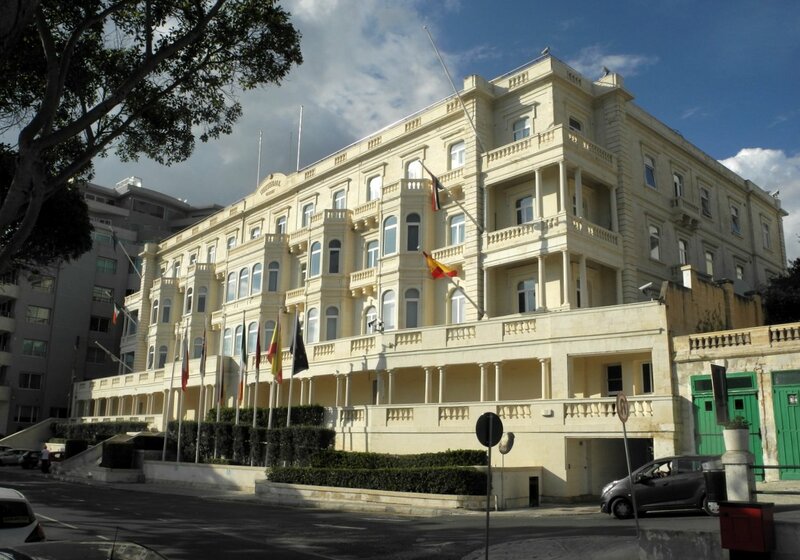 The offices finally left Floriana in 2002, when they moved into the newly refurbished Whitehall Mansions, on the seafront in Ta’xbiex. Earlier in its life this block had been residential accommodation for the Women’s Royal Naval Service (WRNS) in Malta – at which time it was better known as The Wrennery. Floriana offices, vacated 2002 (photo 2017).